« Team Registrations are now officially open! 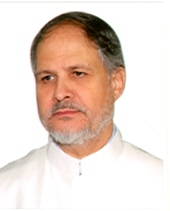 Najeeb Jung’s appointment as Vice Chancellor of Jamia Millia Islamia is arguably the best thing that has happened to this University in a number of years. I have always maintained this and preached it among people who are kind enough to listen and appreciate my opinion. Last Thursday this opinion of mine got a huge boost! After a lot of running around and unfortunately canceled appointment, I finally managed to meet Najeeb Jung, the VC of Jamia Millia Islamia. Now the first thing that strikes you when you meet him is how humble and straight forward he is. He heard our part of the story very patiently as I listed out our plan, one phase at a time. Even explained our motivation behind the project. After a number of what I saw as very affirming nods, he put his question forward, “What help do you need from us?”. Not that I was not expecting the question but its timing certainly startled me! It came barely minutes into the meeting and I had a long rant prepared to present before him. But then I guess its something that comes all by itself if you can speak about something straight from your heart. I was reduced to a mere instrument while as the passion for JMI in me spoke. And spoke well at that! It did what it was expected to. Convinced the VC! However, the best part of the meeting was still to come. Before I got up to leave he said, “Let me get you something before you leave.” I was certainly confused about what could he possibly have to offer to me after this amazing interaction with him that he had gifted me. 2 minutes later we had a third person in the room who happened to be his secretary. The task allotted to him was to schedule the next meeting in which I would present the project updates and our plan on how to go about achieving this gigantic goal. The attendees list consists of the most high profile individuals that exist between the faculty administration and the university administration. The meeting will be attended by the VC, Registrar, CIT Director and the Dean of Faculty of Engineering and Technology. And of course me. I know its been a long time since any one of us has blogged about JMI FET. The fact is we have been working behind the scenes on updates such as these. We are approaching our biggest milestone till date where the FET administration is collaborating with a body backed by students and alumni. And we soon to merge them together soon. Thank you all for the support you have shown towards us. An even bigger thanks to all those volunteers who have worked selflessly till date for this project. I promise you all that your efforts will be honored officially when the time comes. And lastly my sincere thanks to Ankit and Shariq who have acted as firm pillars for this project! This entry was posted on Tuesday, August 24th, 2010 at 2:45 pm	and is filed under Project Updates. You can follow any responses to this entry through the RSS 2.0 feed. You can leave a response, or trackback from your own site. hope that everybody at JMi comes alive like you, then the best days will not be far away.. Thank you so much Khalid! Although I don\’t think its right for me to take credit for all this. I am a mere instrument for a big wave engulfing JMI. Hope it stays this way!